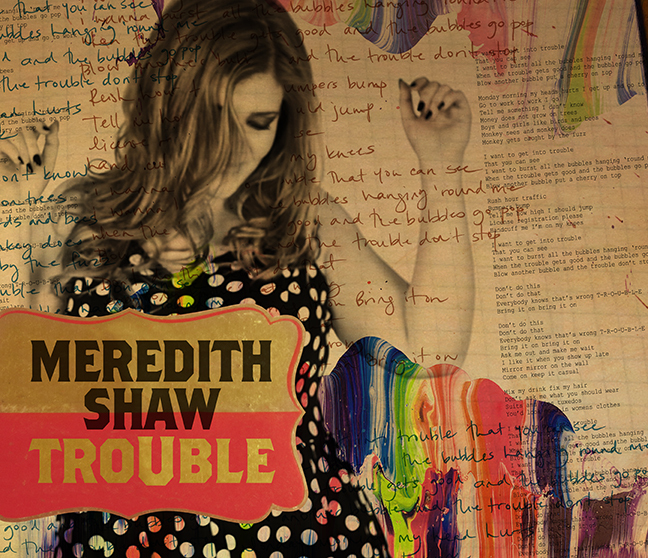 Toronto musician Meredith Shaw has devised a pretty unique way to follow up her debut album. Over the course of the year she will be releasing a trio of 3-song EPs (or tringles in her lingo), each featuring a contribution from a prominent Canadian musician. The first in the series is Trouble, which is set to come out on May 28th. The EP is headlined by the title track, which features beloved East Coast artist Joel Plaskett. The song is a roots duet gem that rises and falls with delightful handclaps and should-be-illegal hooks. The hard-charging country rocker "Call It A Night" gives Shaw the forum to show off her impressive pipes. Things wrap up with "Have You Met My Heart", which succeeds on the strength of flirty lyrics and a playful arrangement. It's hard to draw many hard and fast conclusions from a meager three songs, but if they are a barometer for what's to come then Meredith Shaw is on the way to some great heights. 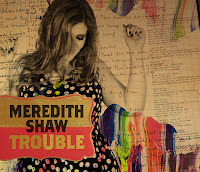 Meredith Shaw plays a record release show at the Dakota Tavern in Toronto on May 30th.